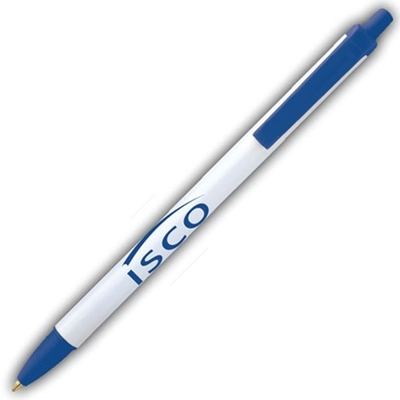 Retractable White Barrel/Bright Blue Trim, Blue Ink Ball Pen. An instant favorite at a price everyone can afford! Retractable, Blue ink with medium point.